LEN - www.lankaenews.com | Country is In Danger..! 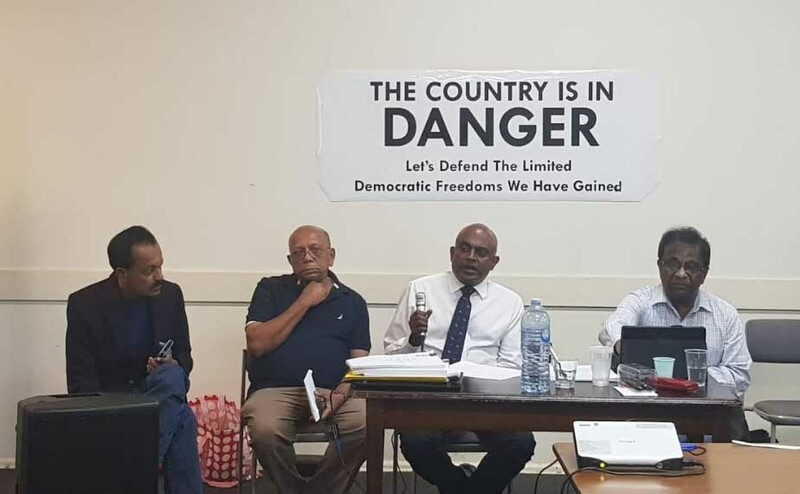 (Lanka e News - 23.Nov.2018, 9.45PM) Defend Democracy in Sri Lanka Movement in Melbourne - comprised of Politicians, Professionals and Australian Community Leaders from diverse backgrounds hold a protest meeting on last Sunday 18th November 2018 against the unconstitutional sacking of Prime Minister Ranil Wickramasinghe and proroguing of the Parliament. 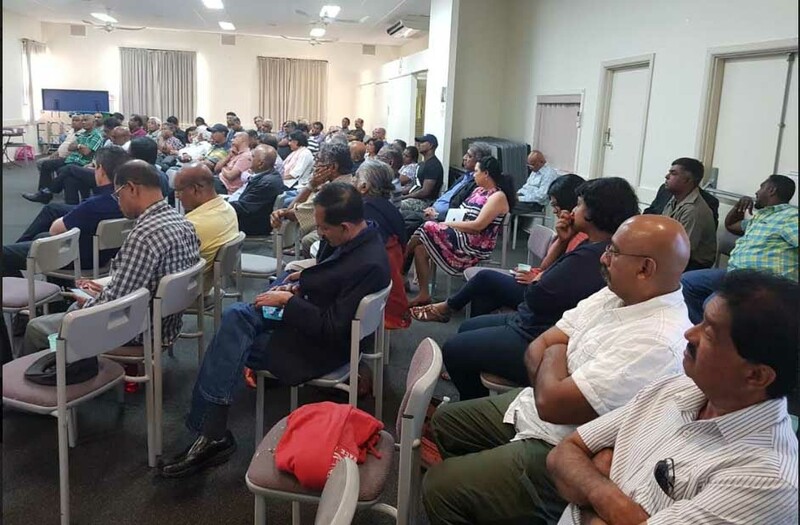 A large crowd of Australians of Sri Lankan Origin has attended this meeting. 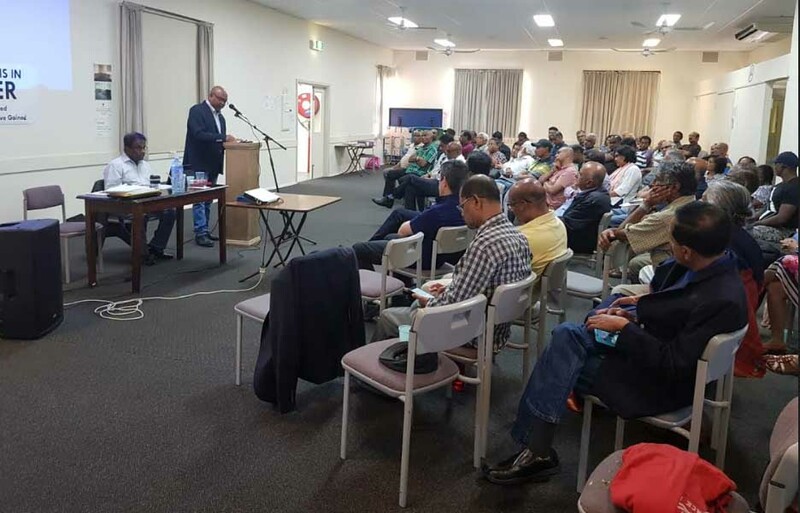 All the speakers who have addressed the gathering emphasized, “When the NCM has passed against the Government, the Cabinet stands dissolved and constitutionally functioning of the government is illegal”. They also stressed, “Rajapaksa and Sirisena clan has dragged the country in to a chaotic and unstable situation. Foreign investors are leaving the country. IMF is delaying the loan discussions with the Sri Lankan Government”. The meeting has adopted a Resolution against the unconstitutional acts of by the President Sirisena and agreed to send this resolution to foreign missions including UN, Commonwealth Secretariat, Australian Government and other foreign missions. Following Community Leaders addressed the meeting.